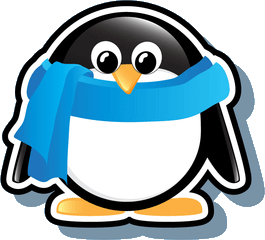 Late Friday afternoon, Google's Matt Cutts announced on Twitter that they unleashed Penguin 2.1. In short, Matt Cutts, Google's head of search spam, said it impacted about 1% of search queries. Looking at the hundreds of comments on our quick post from Friday and looking at the threads out there in the webmaster and SEO communities, it seems like many many webmasters were impacted by this update. We have threads at WebmasterWorld, Black Hat Forums, tons at Google Webmaster Help, Threadwatch and many others. Keep in mind, this was announced late Friday afternoon and the threads are just going to get worse when more people check their analytics after the weekend is over, sometime this morning. I've seen screen shots of Google Analytics showing websites completely destroyed by this update. I've also seen screen shots of Google Analytics showing websites that recovered in a major way from previous Penguin updates. This had huge swings both ways for webmasters and SEOs. Some recovered and are back in business, while others are about to lose their businesses. Also, some it had no impact on at all. Like you all know, when one web site drops another one takes it place. How Did Google Penguin 2.1 Impact Your Site? Please have all your friends and colleagues take this poll. So let us know if you recovered or not both in the comments and in the poll above. Forum discussion at WebmasterWorld, Black Hat Forums, tons at Google Webmaster Help, Threadwatch and Twitter.